THIS KIT IS A WELCOME REISSUE of a 1:24 scale ESCI kit by Italeri, which has acquired most of the old ESCI company’s tooling. 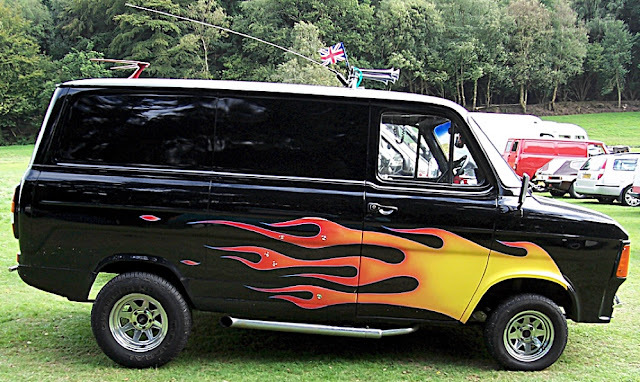 This particular kit models the classic Ford Transit van in its original rear-wheel drive form. Mat Irvine: The body components are moulded in white, while the rest of the parts are in black, with clear for the window glass. Both front doors can be opened, as can the rear loading door. You can build a right- or left-hand drive version. The original kit was issued by ESCI in various guises, with decals to suit. This time, the markings (below) represent a UK gas-utility vehicle. According to the new decal sheet, it’s a Transit that belonged to British Gas Southern. Apparently, the scheme is based on a custom design by a British modeller. 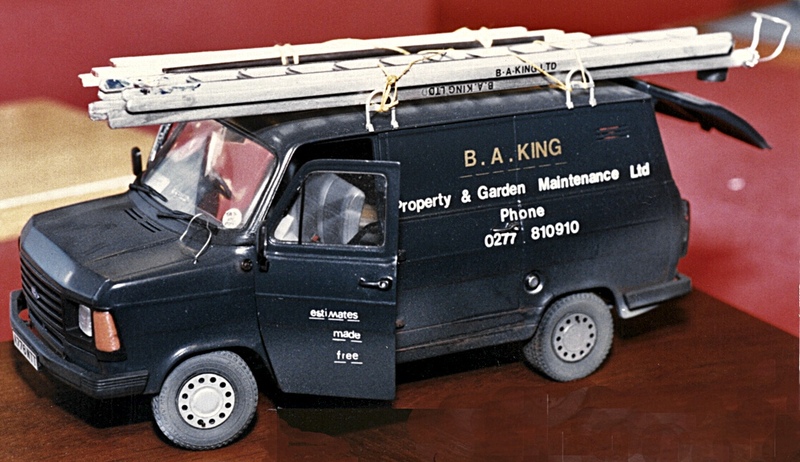 The completed model (below) seen here with the supplied British Gas Southern decals. But of course British Gas Southern is only a start, as millions of Mk 2 Transits were made. So there is a virtually endless supply of possible markings and individual modifications available from which to choose. The Italeri Transit (below) has been finished as an unmarked van. The Transit (below) is a conversion of an original ESCI kit that harks back to the 1988 Model Engineering Show, in London. The model was made by Andy Sinclair, and (I think) was based on a Transit that he actually drove. One of the ESCI Transits featured a support vehicle (below) for the Paris-Dakar Rally. Maybe Italeri will release this version in future. As for custom choice, you could try your hand (below) at applying a US-style flame treatment. The Transit name is used worldwide, and Ford USA uses the latest front-drive version as its primary panel truck. It has replaced the long-lasting, but now dated, rear-drive Econoline. Thanks to The Hobby Company for the sample kit.